One hot spring the devil makes a personal appearance in Moscow accompanied by various demons, including a naked girl and a huge black cat. When he leaves, the asylums are full and the forces of law and order in disarray. Only the Master, a man devoted to the truth, and Margarita, the woman he loves, can resist the devil's onslaught. The devil arrives in Moscow at a time when black magic and supernatural power could wreak maximum havoc. Working with his underling demons, the influential wealthy men of the city see their greed exposed, and their comeuppance is hideous for them, yet exhilarating for the devil and us. Spanning three storylines, we're initially transported to the realities of life as the devil arrives to play with the Russians. Quickly afterwards, we're immersed in the tale of Pontius Pilate, told incredibly as a interpretive historical view, rather than a Biblical repetition. These two tales flash in and out of one another, until we're with Margarita, and the true powers of the devil come to their delicious finale. Our expectations are entirely crushed in the devil's acts. Despite certainly embodying evil, he does his utmost to ensure the people of Moscow get what they ultimately deserve. Although that means, of course, the insatiable greed and corruption of the powerful are punished, he also seeks to reward loyalty and love in the form of Margarita. This gives us a sense of a justice, and shows the devil as pursuing a balance in the world. Bulgakov writes of freedom, writes in glorious colours, and takes us to the dizzying heights of imagination and magic. In a world of oppression and unrest, where people disappear during the night, he spent his time imagining the wonder and enchantment that could be. Attempting to understand the novel as a deconstruction of Stalinist Russia, however, was taxing and debilitating to the plot for me. Despite some less than subtle nods, the book is enjoyed best as a fairytale of retribution and reward. I always find it difficult to review the great classics, and I'm sure I've missed the mark again with this one. 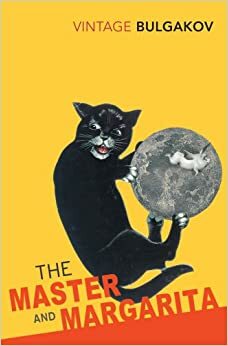 Despite my poor use of words, it's a hilarious and witty commentary with gorgeous magical-realism, it's survived the death of its maker, and avoided censorship to arrive on our doorsteps.